Tenant development of 11,000 square feet on two commercial floors of a new mixed use Chicago high-rise structure. The dialysis clinic occupies the fourth floor and includes 10 isolation treatment stations, 22 non-isolation stations and support facilities. Administrative offices and the Internal Medicine Clinic are located on the fifth floor. 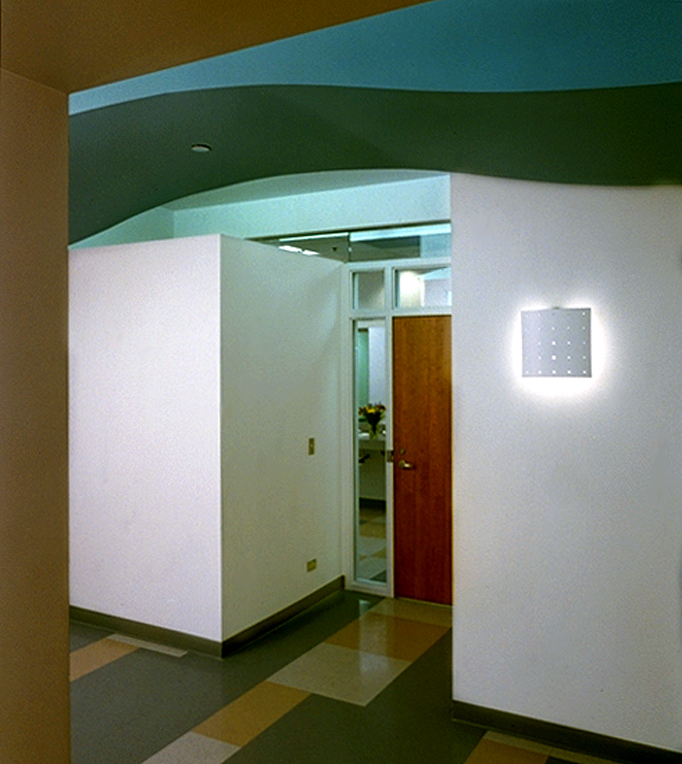 Curvilinear ceiling marks the plan's circulation spine and serves to orient patients.Direct/indirect lighting and a continuous floor pattern, which echoes the spine, enliven patient spaces. Custom patient headwall incorporates loop delivery system for deionized water and acidified.